imaging FX package for CHR, AC, urban and alternative radio, TV and online. Hyped, intense and massively useful FX collide with busted out beats and blazing beds to form the new sound of now. Welcome to ID_2 TOTAL. A vast and diverse production library of 770 cuts pumped with adrenaline. ID_2 TOTAL includes a vast library of beds and beats & grooves that aren't available anywhere in our other ID_2 packages. Plus it now contains every single ID_2 cut we've ever produced. So, as well as the massive original ID_2 package, it also includes ID_2 Essentials Extra and ID_2 Speed Shots. See our FAQs for a full breakdown of the library's cuts. The package has been heard all over the world over three continents, including on Bauer's Place Network across the UK, The Hits Network in New Zealand, 107 The Peak in Calgary, Canada, Hit 889 in Athens Greece and many more. 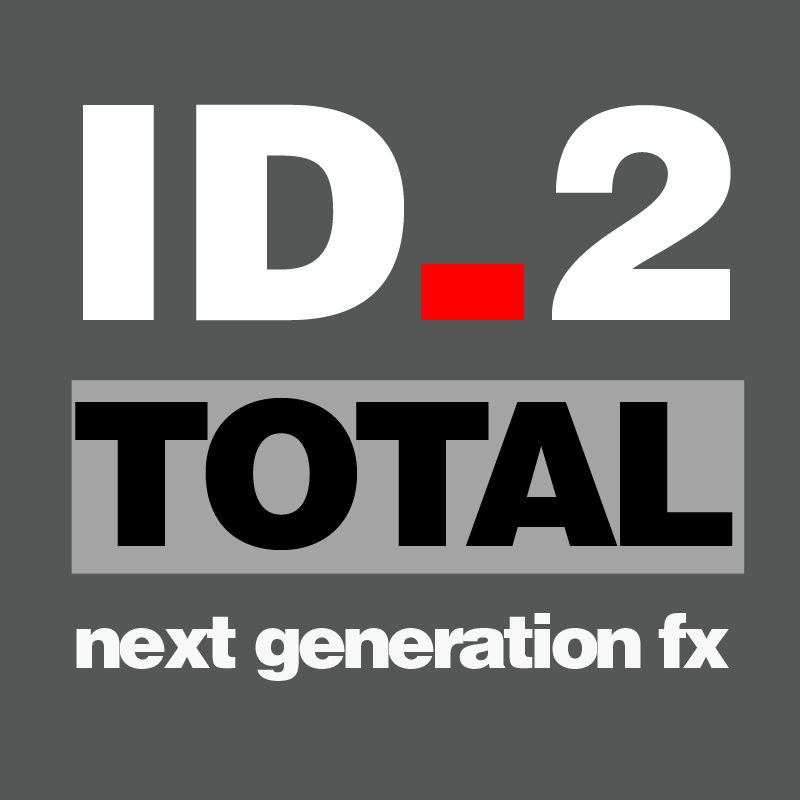 ID_2 TOTAL is now available to take your station sound to the next level. Listen to the demos and experience the new sound of now.